We often take people for granted, especially those closest to us. We get so caught up with everyday life that we forget to stop and pause to acknowledge the incredible amount of love and care we exchange with our friends, families, and maybe even some furry-friends. At the very core of every one of us lies a unanimous need to love and be loved. One way to express love is to spend quality time with your loved one. Quality time means giving undivided attention, being a good listener and being present. 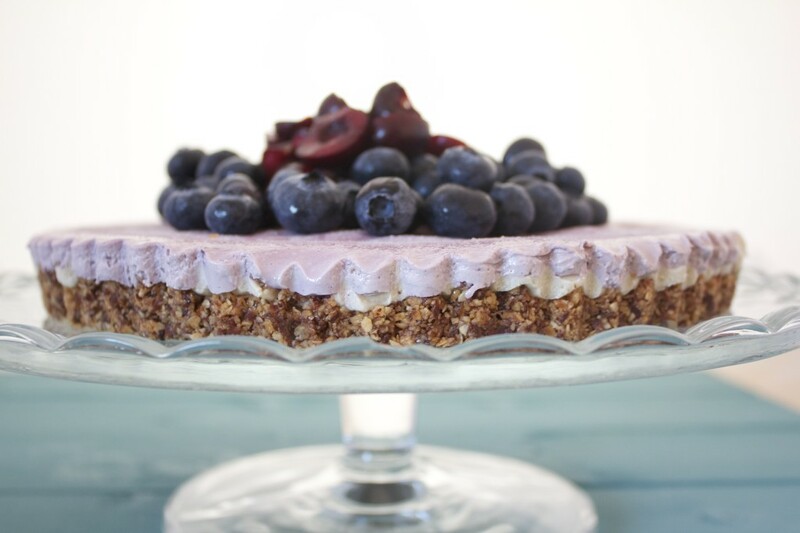 Spend some quality time with your loved ones on Valentines Day… maybe while you make this amazingly delicious grain-free, gluten-free, and diary-free raw cheesecake! 1. Grind flaxseed in coffee grinder and melt coconut oil in a saucepan over medium heat. 2. In a food processor, process all crust ingredients until dough is sticky. 3. Pour the crust dough into a 0 inch pan and firmly press into the bottom and sides of the pan. 4. Set aside while you make filling. 2. Place one layer on top of the crust, followed by another layer until you reach the top. You may want to set the first layer in the freezer before adding the second layer on top. 3. Place in freezer to set for 6-8 hours. Allow frozen pie to thaw in the fridge for 1-2 hours before serving.